Transformation is defined as a thorough or dramatic change in form of appearance or character, usually for the better. Transformation has many shapes and faces, but what comes instantly to mind is butterfly transformation. Usually we talk about transformation from caterpillar to butterfly, but there’s even more to this. This is the most omitted stage of butterfly transformation. Eggs are laid on the leaves and are very tiny, hard to find. This is the beginning. At this stage you might feel almost invisible, like nobody can see your skill or experience your influence. You might even have no influence at all. Whether you’re new on a team, shifting your career path, in transition from job to business, there is always this stage when you feel like you aren’t enough or don’t know enough. You have potential inside of you to be somebody one day, but you haven’t arrived yet. There’s a process that needs to happen first. This stage is known as “resting” stage. 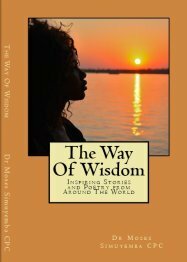 In human transformation this might be a time when you consolidate your thoughts about future move, while still staying in your existing situation. For example, you might define what type of business you want to run, what type of job you want to apply for, what school you want to sign up for, etc. I like to call this stage a “dream” stage. This is when you dream about what you can potentially become or do in the future. Things around you keep moving without you taking any specific action. You are where you are, you keep doing what you’ve been doing, but deep inside of you there’s still a dream for something bigger to come. You don’t know yet what it’s going to be or how it’s going to look like, but the dreaming is slowly starting. This is pretty exciting stage where things start moving. All the caterpillars do is eat. Once they start eating, they start growing and expanding. This is the “growth” stage. While in the previous stage you defined what you want to do or who you want to be, in this stage you start gathering the information about what it will take, how to make it happen, what to do and what to avoid. You might even discuss your idea with others around you or hire a coach to help you identify your next steps. If you are a person of action, you might even get your feet wet and start sharing your dream, your vision and what’s coming up with others around you. You might even test some things as you go along to see what will work the best. You’re starting to make your mark on the world. One more thought on this stage. Caterpillar starts its life by eating up a leaf they were hanging on to during the first stage. It’s extremely important that you close your past if you want to move on to the next stage. 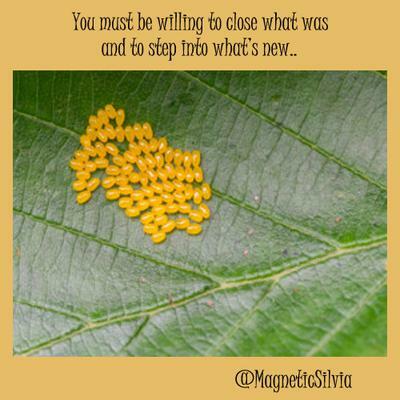 You must be willing to close what was and to step into what’s new. Click here to access the second part of these series and discover another 3 stages of butterfly transformation.